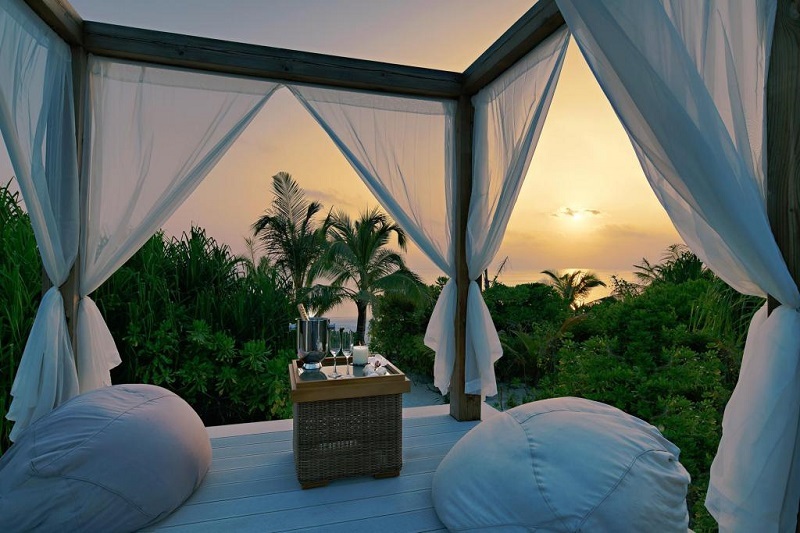 The Mövenpick Resort Kuredhivaru Maldives has opened, with 105 villas and suites. 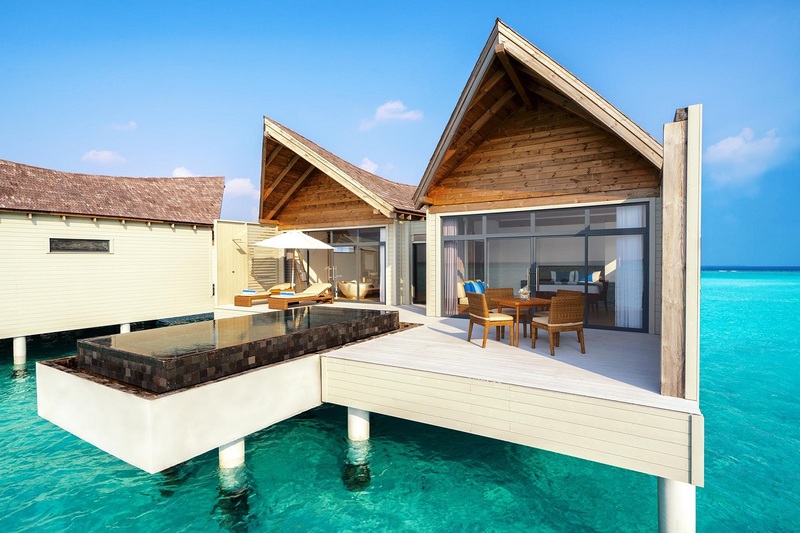 Mövenpick Hotels & Resorts raised its first flag in the Maldives, opening the doors to its latest property on a private island in the Noonu Atoll. The Mövenpick Resort Kuredhivaru Maldives is just 45 minutes by sea plane from the capital, Malé, and features 105 villas and suites comprising 72 overwater pool villas, 30 beach pool suites and three beach spa pool residences, each with their own private plunge pool — perfect for adventure-seeking families and honeymooners looking for a romantic getaway. 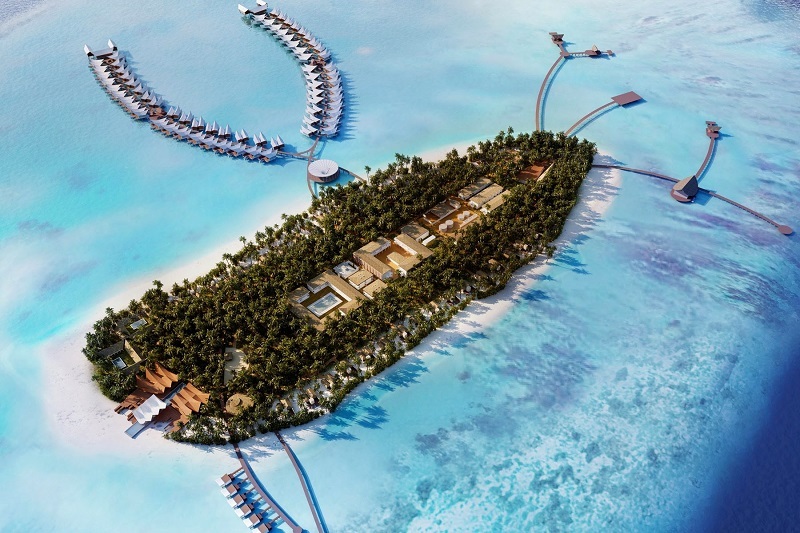 The resort will also be accessible by a 15-minute speedboat ride from the new airport on Maafaru island in Noonu Atoll, which opens early next year. Showcasing the culinary expertise for which the Mövenpick brand is renowned, the property features four dining experiences including the market-style all-day diner, ONU Marché Restaurant and Bar, with buffet and à la carte dishes made from locally-sourced produce; Mövenpick Coffee & Wine Lounge, serving a range of signature Mövenpick coffees, chocolates, ice creams and wines; as well as the trendy poolside restaurant Latitude 5.5, with breathtaking ocean views. Mövenpick Chocolate Hour, a key brand signature, will be staged in the resort’s lobby daily, offering guests the chance to taste complimentary chocolate presented in novel ways. Ideal for guests with young children, the resort features a Mövenpick Little Birds Club, offering a range of signature activities for all the family as well as babysitting services. The property also plays host to a range of exciting onsite facilities, including a diving centre that organises snorkelling, house reef explorations and cruises; a tennis court; state-of-the-art gym; water sports centre; and the Sun Spa by Esthederm, which offers a wide range of signature facials and massage treatments to rejuvenate the soul and body.